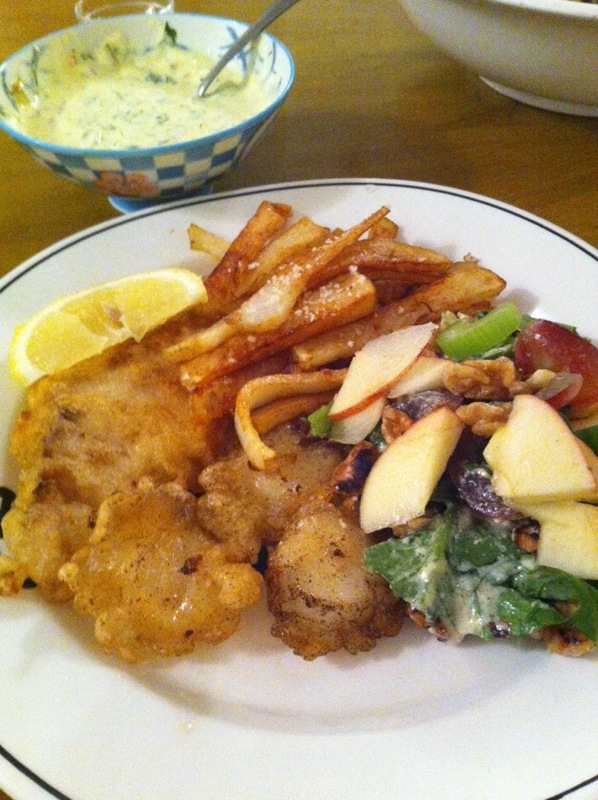 Made gluten free fish and chips (and scallops). I made the batter a bit too thin, and so it didn’t quite work that well which was a bit disappointing. And Waldorf Salad.